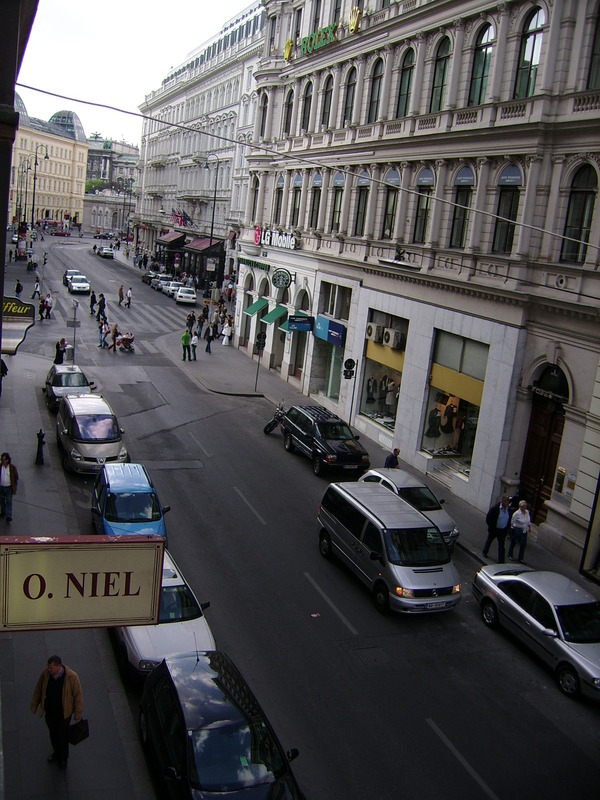 The view up the street from the window of our first hotel in Vienna. The street looks rather quiet now but it was alive with much action throughout the 5 nights we stayed there. We stayed at the Hotel-Pension Suzanne, which was fairly reasonable and quite closely located to all of the major museums on my list to see. We were lucky to get a breakfast, found a Starbucks right on the corner, as most places only serve espresso and cappuccino kind of coffee. We either walked or took the Ubahn (which was quite easy to navigate). By afternoon the corner in the upper lefthand portion of the picture would be carpeted with people. The crowds crawled the stores and tourists toured along the Karnternstrasse tugging at their pockets for wallets/money to purchase their souvenirs. 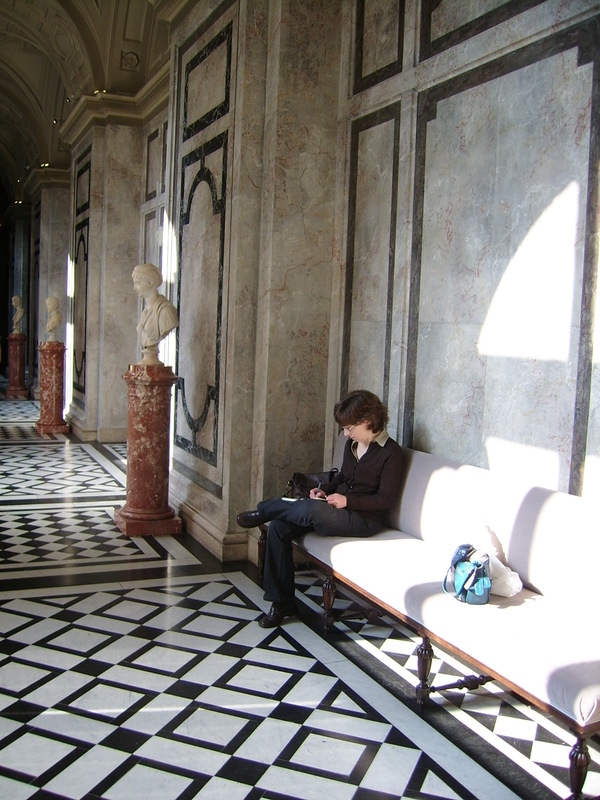 Brenda from inside the Kunsthistorisches Museum. There are quite a few sections to this museum and the palace itself is quite impressive. 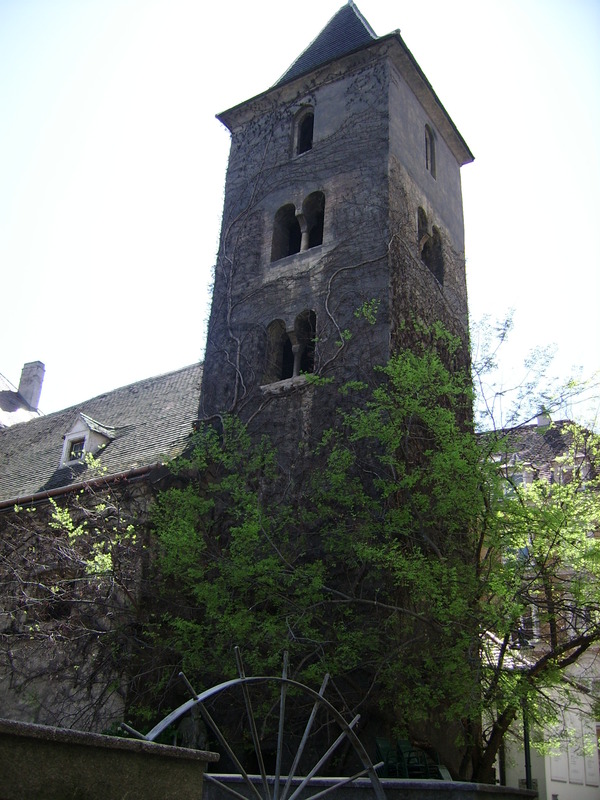 This is a shot of the oldest church in Vienna– St. Ruprecht. I think this church, tucked in amongst the towering, regal architecture, is a real gem. 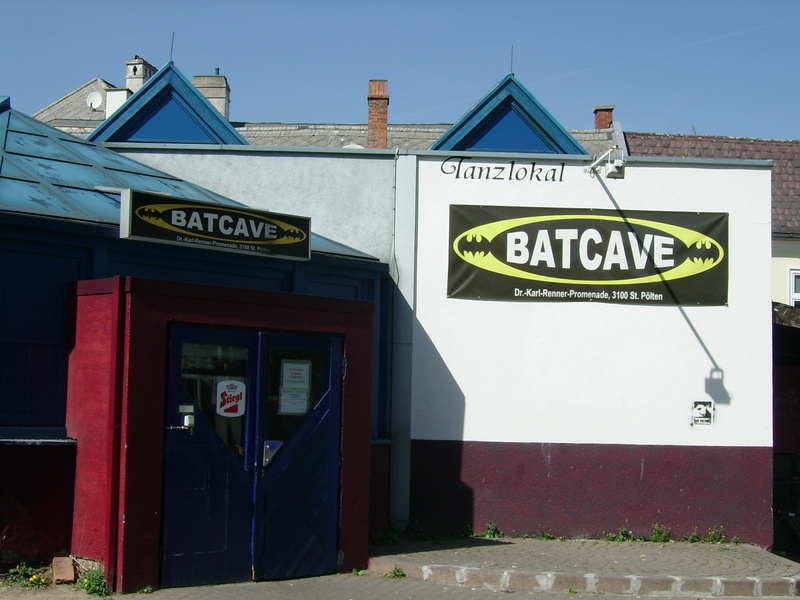 We stumbled upon it our last day in Vienna (before heading out to Cesky Krumlov). It was old and felt old. 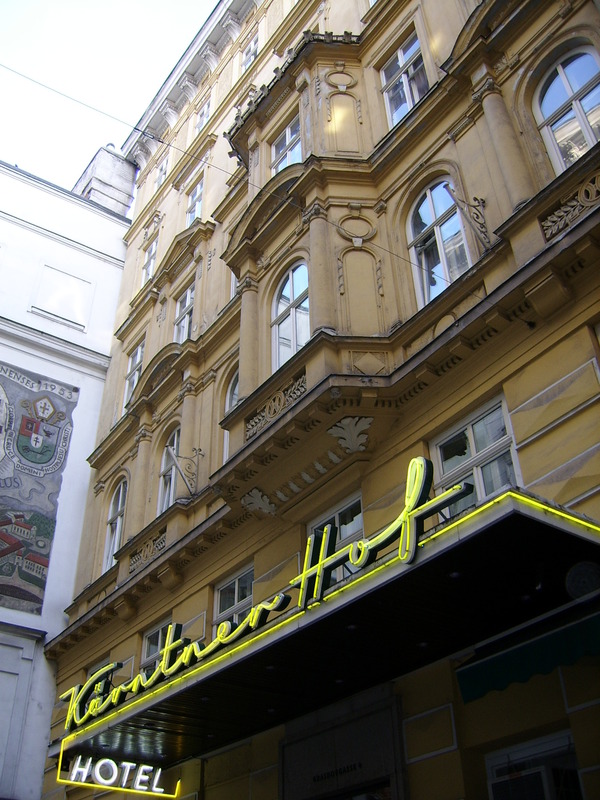 Our second hotel in Vienna. This hotel is sandwiched in an “alley” and butts its right-hand side against an old monastery ( I think). The mural on the left-hand side of the picture, which you just get a peek of in this picture, seems to indicate that might be the case. and the occasional Ariel sighting in Cesky Krumlov. I will continue to add some pictures and stuff over the next few days, but check out the flickr on the sidebar for more photos of the trip. Thxs Sznn–hope your trip went as well as mine. Rhett–hair is the time and place–talk to Brenda about that one. 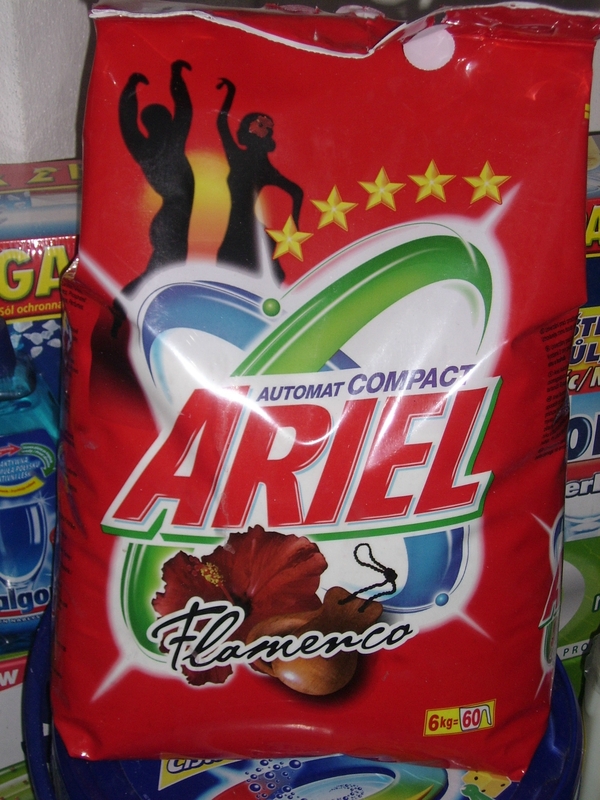 Ah, Ariel–the flamenco is the gyrating power that cleans as it moves. I think. Home. Life is good. I think. Wow, what an amazingjourney you must have had! Looking forward to seeing and hearing more. Tango scented…that would be Scotch and spicy cologne, no? Thanks Anita! It twas simply grand. I hope to blog more about it soon– I’ve been backlogged with work/work/work.